While backing up some folders I came across this picture of Jessica Lurie. I photographed Jessica Lurie in an alley in Pioneer Square here in Seattle, a few years ago just before she packed up and moved to Brooklyn, New York. I had previously photographed her with her group Living Daylights and I have been following her since then. She seems to be playing everywhere from Europe to back here on occasion. Her next gig looks like it will be Sat May 15 8:00 PM I wish I could be in NY for this one. Kolot Chayeinu in Brooklyn, NY – * MARC RIBOT * JESSICA LURIE * MARTY EHRLICH * ROY NATHANSON * GREG COHEN PRACTICING A concert and conversation moderated by Professor Tamar Barzel Five world-class musicians. Composer/improvisers with wide interests and adventuresome ideas. Where do their creative selves and their Jewish selves meet? Do they meet at all? On Saturday, May 15 at 8 pm, Marc, Jessica, Marty, Roy, and Greg will join Professor Barzel for an evening of words and music in which they’ll explore the (possible) role of things Jewish in their own not-obviously-Jewish creative work. Solos, duos, trios, quartets. The evening is open to possibility. Come, listen in on the conversation, consider these questions with us, and enjoy a performance of original music and creative improvisation by these sensational artists. Guitarist Marc Ribot has “a stunningly original guitar style that channels the primal power of blues, jazz and early rock while exploding the conventions of each style” (Guitar Player). 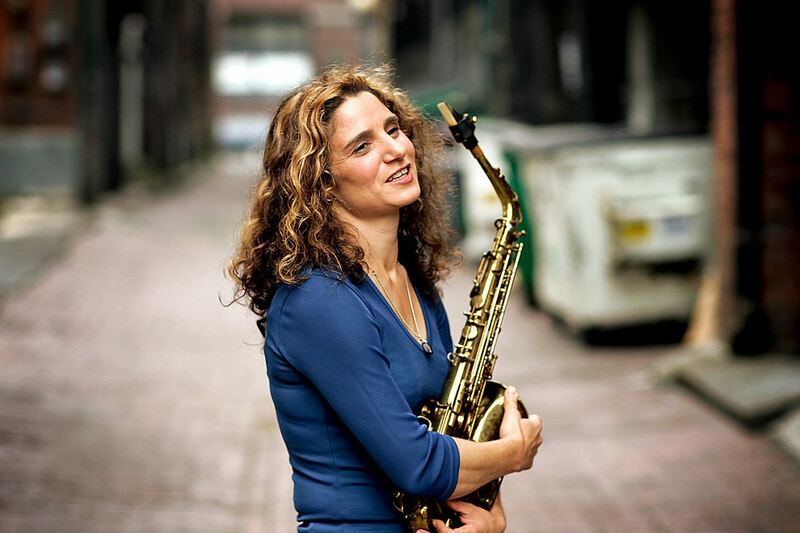 “A little rock, a little bebop, a little free improvisation, and a good dose of Eastern European melody and harmony: these are the sources for saxophonist Jessica Lurie’s unique creative voice” (Le Monde). Clarinetist Marty Ehrlich is “one of his time’s most original thinkers [with] a rare and wonderful talent” (The Nation). “In a world of useless shouting things,” saxophonist/composer Roy Nathanson’s project Sotto Voce “is sane, funny, beautiful and intimate” (Elvis Costello). “Contemporary jazz does not get any better than this” (Birmingham Post) if it involves bassist Greg Cohen, who has performed and recorded in innumerable styles with Tom Waits, Elvis Costello, Marianne Faithfull, John Zorn, Dave Douglas, Laurie Anderson, Ornette Coleman, and the Rolling Stones. Tamar Barzel is Assistant Professor of Ethnomusicology at Wellesley College whose research is situated at the intersection between New York City’s downtown music scene and Jewish cultural studies. Jazz Photography by Seattle photographer Daniel Sheehan. He covers jazz performances, and creates portrait photography for publications and a Seattle Wedding Photographer with an artistic photojournalist style. At EyeShotPhotos, see more work from this Seattle Photographer.